Nothing makes a better impression. We love to use metal type, vintage cuts, new linoleum and wood cuts on lovely paper. 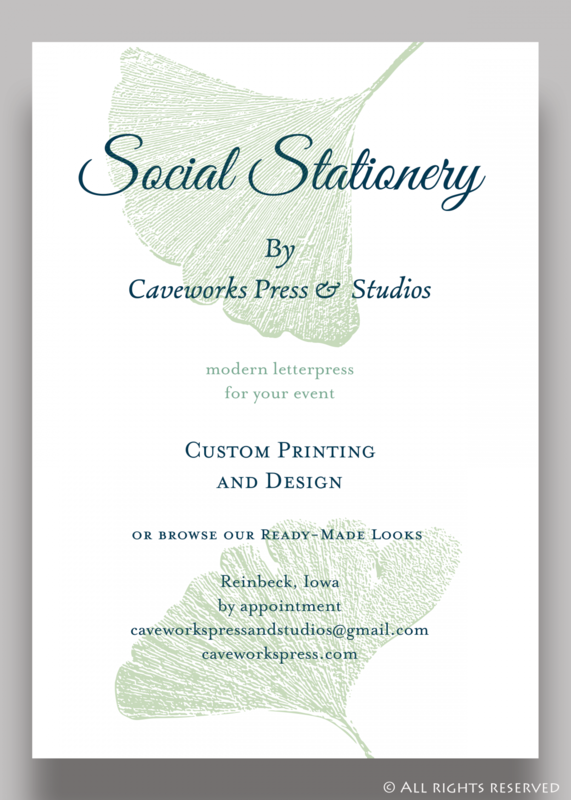 Give your business, wedding, or personal stationery the hand-crafted touch. You can find us at fairs and festivals with our art and craft: Blank journals, stationery, letterpress prints and book necklaces. 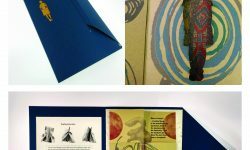 Exploring printmaking, artist's books and new combinations of word and text. Social and business! Currently typesetting from our collection of 100+ metal typefaces and customizing with linocuts and digital designs, Plan your wedding suite, personal stationery, or business branding with us. Like this design? Make it yours, contact us to begin. Let us create for you. We'd love to help! Shoot us a message via the contact form.